ROMEOVILLE, IL (WFIE) - University of Southern Indiana sophomore guard Mateo Rivera (Indianapolis, Indiana) hit the game-winning buzzer beater as the Screaming Eagles defeated 15th-ranked Lewis University, 62-61, in the semifinals of the NCAA Division II Midwest Regional Sunday evening in Romeoville, Illinois. The Eagles, the fourth seed, rise to 24-8, while the Flyers, the top-seed, end the season with a 25-6 mark. With the win, USI advances to the regional championship game at 7 p.m. Tuesday against second-seeded and 7th-ranked Bellarmine University. The Knights advanced to the regional title game with a 74-59 win over the University of Findlay. The Eagles will be playing in the regional finals for the first time since 2006. 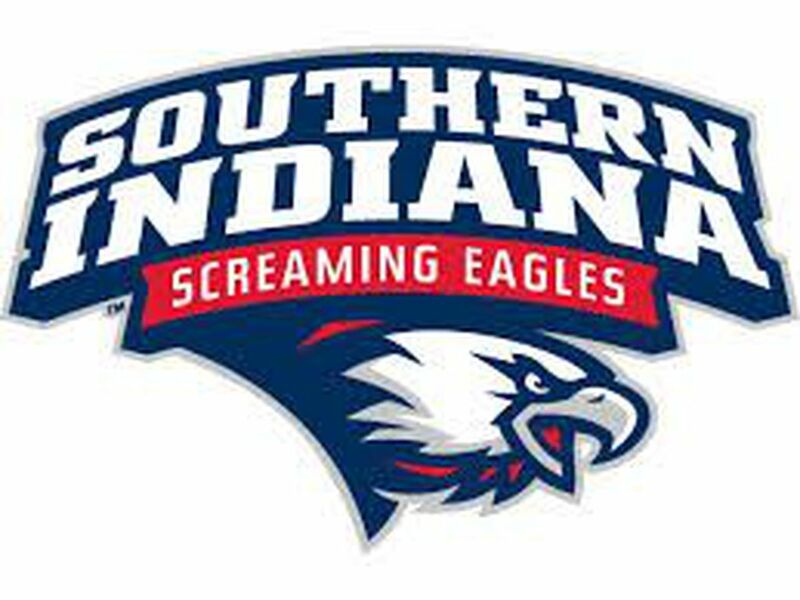 USI is 1-2 against Bellarmine this season, but has a lead on the all-time record 51-44. The Eagles and the Flyers traded buckets for the first seven minutes, until with game tied, 11-11, Lewis went on a 12-2 run to lead by 10 points, 23-13. USI would battle back to get to within three four times in the first 20 minutes, including the halftime score of 30-27. In the second half, USI tied the score twice before two minutes were gone, 30-30 and 33-33. Lewis, however, hit the jets and built a 14-point advantage with 13:52 to play after a 16-2 run, 49-35. The Eagles flew back into the game with a 20-3 run of their own to take their first lead of the game on a bucket by Rivera, 51-50, with 5:40 to play. USI took advantage of 11 trips to the free throw line during the run, connecting on eight, and defensively forcing the Flyers into a one-for-12 slump. After USI junior guard/forward Kobe Caldwell (Bowling Green, Kentucky) put the Eagles up by four points, 58-54, the Flyers rallied back to regain the lead, 59-58, with 36 second left. Caldwell bounced right back to give USI the lead 60-59 with 16 ticks on the clock. Lewis went down the floor and took back the lead, 61-60, and set the stage for Rivera in the final five seconds. Rivera drove the length of the floor and down the right side to beat the clock with a layup for the 62-61 victory. The come from behind victory marked the first time this season that USI had rallied to win after trailing at halftime and is the first time since 2014-15 that the Eagles have won back-to-back games after scoring fewer than 70 points in two-straight games. For the game, USI had five players in double-digits with Rivera, senior guard Alex Stein (Evansville, Indiana), and sophomore forward Emmanuel Little (Indianapolis, Indiana) posting 12 points each. Caldwell and senior forward Jacob Norman (Evansville, Indiana) rounded out the double-figure scorers with 10 points each. The victory is win number 227 for USI Head Coach Rodney Watson, who is four victories away from tying Bruce Pearl (231-46; 1992-2001) for the all-time USI career record for victories.